What’s better than winning an award? For a limited time, at Volkswagen of Gainesville, take advantage of exclusive deals on either of our award-winning SUVs – the 2018 Volkswagen Tiguan, Cars.com’s Best Compact SUV of 2017, or the 2018 Volkswagen Atlas, Cars.com’s Best Three-Row SUV of 2017. *Monthly payment is $17.05 per $1,000 financed with approved credit through Volkswagen Credit. Price is plus sales tax, $184 private tag agency fee and titling, any dealer-installed accessories and dealer service fee of $899, which represents cost and profit to the selling dealer for items such as cleaning, inspecting, adjusting new vehicles and preparing documents related to the sale. See dealer for details. Expires 01/31/18. *Monthly payment is $17.48 per $1,000 financed with approved credit through Volkswagen Credit. Price is plus sales tax, $184 private tag agency fee and titling, any dealer-installed accessories and dealer service fee of $899, which represents cost and profit to the selling dealer for items such as cleaning, inspecting, adjusting new vehicles and preparing documents related to the sale. See dealer for details. Expires 01/31/18. 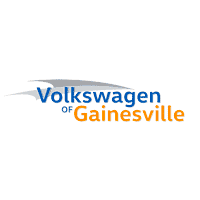 Visit Volkswagen of Gainesville Today! Don’t wait! These offers are only available for a limited time! Don’t miss your opportunity to drive one of our award-winning SUVs for less! Vsit Volkswagen of Gainesville today! * Limited powertrain warranty for 20 years or 200,000 miles, whichever comes first. Certain restrictions apply. See dealer for details.